3 Beds, 2 Baths | 1,900 sq. ft. The elegant front entry features sidelights and an arched window. 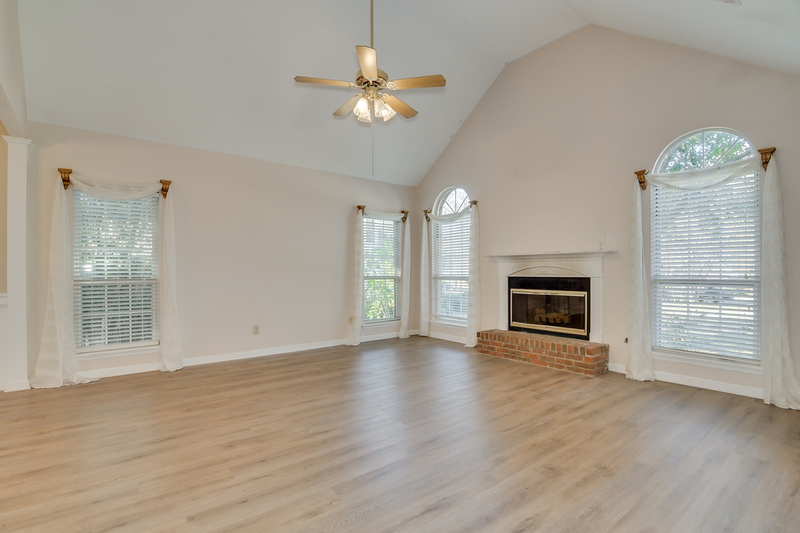 A tiled foyer with coat closet is open to the spacious great room which boasts new flooring, a stately fireplace, a cathedral ceiling with fan and lots of natural light. A large case opening provides nice connection to the formal dining room, which features an elegant chandelier and picture-frame wainscoting. 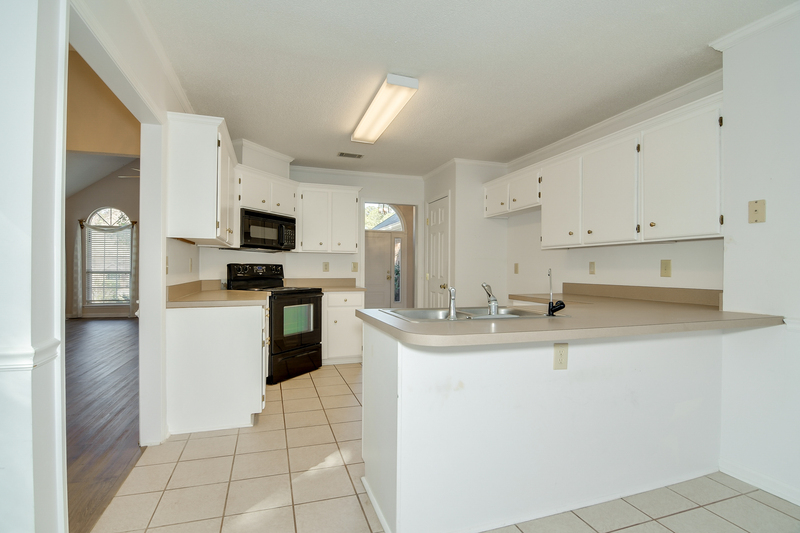 The adjacent eat-in kitchen has a tile floor, a pantry, white cabinetry, a snack bar and a huge breakfast room with a door to the back patio for easy outdoor entertaining. 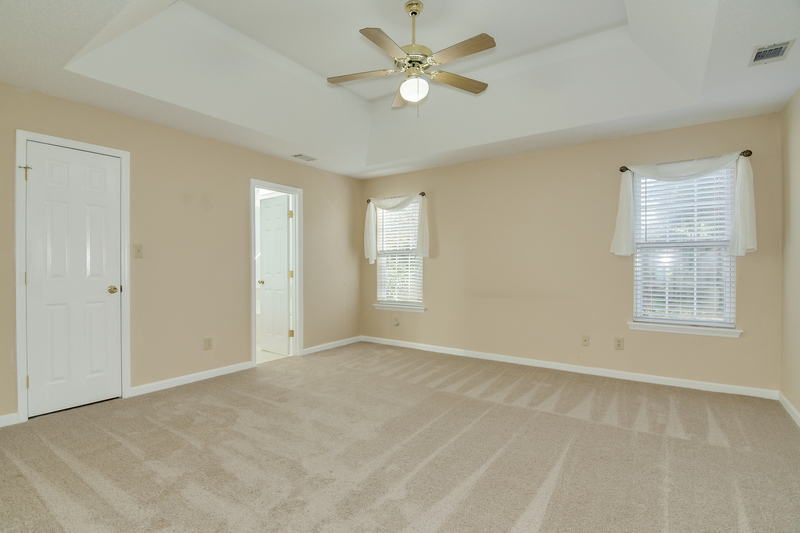 All bedrooms have new carpet. The owner suite boasts a tray ceiling with a ceiling fan, a walk-in closet and a private full bathroom with dual sinks, a garden tub and a separate shower. Both secondary bedrooms are spacious with close proximity to another full bath with a tub/shower combo. 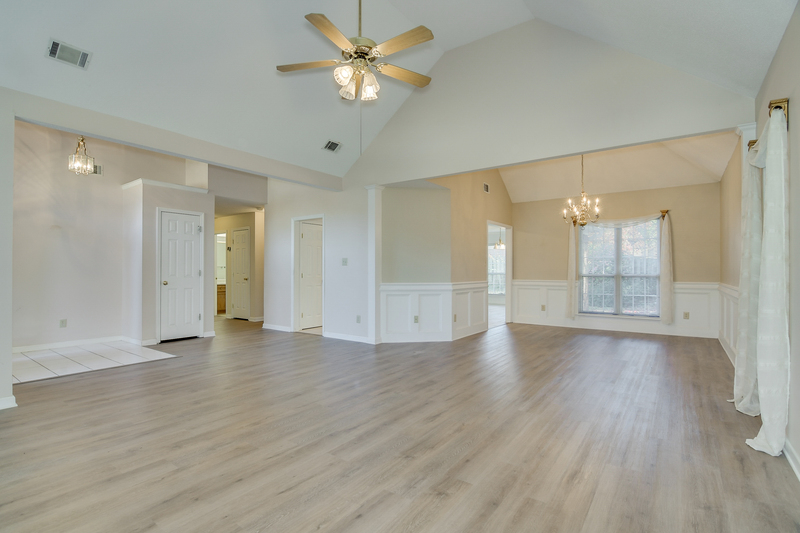 Completing the floor plan is a large laundry room with utility sink and garage access. 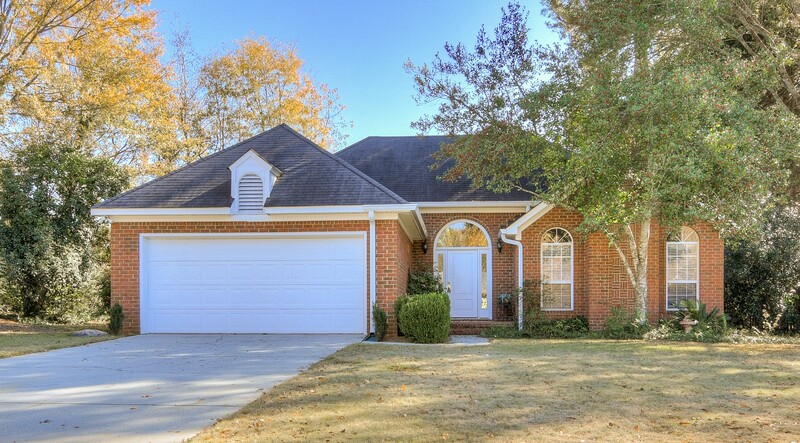 The manageable yard is landscaped with privacy fence and patio.